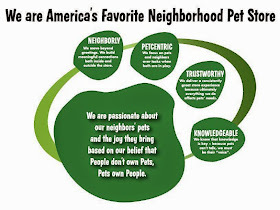 Pawsitive Impressions: NEIGHBORLY and PET-CENTRIC Service in Our Dearborn Pet Center Doesn't Go Unnoticed! NEIGHBORLY and PET-CENTRIC Service in Our Dearborn Pet Center Doesn't Go Unnoticed! HI, i just wanted to let you know what an amazing employee you have at your store in Dearborn. I was at your store yesterday on my way home from work and I locked my keys in my trunk. I went into the store to use the phone to attempt to get a hold of some one and Jack was there to help. He was willing to let me use his smart phone to contact a few people until I could get some one to answer. While I was waiting for my ride I witnessed jack not only be extremely friendly and helpful, but also very caring with every pet that came through the door. He was a great example of who you would want representing your company.